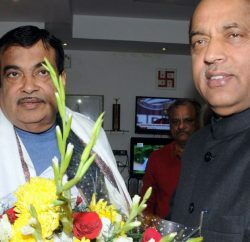 Union Minister for Road Transport & Highways Nitin Gadkari will lay the foundation stones for seven National Highway projects worth over Rs 4419 crore in Himachal Pradesh’s Kangra on Sunday. 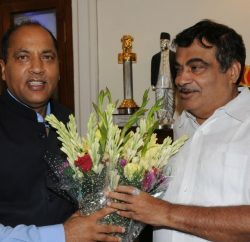 The projects include four-laning of 37.03 km long Punjab-Himachal Pradesh Border to Sihuni section of NH-154 at a cost of Rs 1572.9 crore, construction of 104.6 km long Paonta Sahib –Guma-Feduzpul section of NH-707 at a cost of Rs 1356 crore, construction of 109.45 km long Hamirpur-Mandi section of NH-70 at a cost of Rs 1334 crore, construction of 15.75 km long Una to Bhiroo section of NH-503A at a cost of Rs 51.09 crore, construction of 23.105 km long Mataur-Dharamshala-Mcleodganj section of NH-503 at a cost of Rs 46.13 crore, four-laning of 7 km long Paonta Sahib Town section of NH-7 at a cost of Rs 30 crore, and construction of retaining wall and installation of crash barriers on 94 km long Sainj-Luhri-Anni-Jalori-Banjar-Aut section of NH-305 at a cost of Rs 29.07 crore. 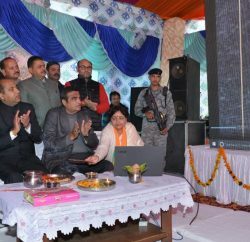 These projects are likely to benefit the local populace by way of increased tourism, safe journey, reduced travel time, beautification of highways, enhanced economic activity and employment, and all-weather roads.